Vitamin D is involved in retaining the balance of several minerals in the body, such as calcium and phosphate, which are crucial for the bone formation and development. These physiological effects of vitamin D are mediated by activation of the transcription factor vitamin D receptor (VDR). Moreover, vitamin D is closely related to several pathological conditions including osteoporosis, secondary hyperparathyroidism, cancer, psoriasis and autoimmune diseases, which is not only due to calcemic but also non-calcemic effects of vitamin D such as cell proliferation, differentiation, and immunomodulation. These various abilities of vitamin D have made VDR an attractive therapeutic target. Already, numerous vitamin D analogs have been developed and studied in in vitro disease models or animal models, and some have been in clinical trials or approved for the treatment of certain diseases. In addition, the transcriptional and/or post-transcriptional regulation by VDR activation also affects the genes involved in drug metabolism and disposition, possibly leading to pharmacokinetic changes of several drugs in clinical use. This review provides a detailed summary of therapeutic targets of VDR ligands, and their effects on the transporters and metabolic enzymes, causing in vitro and in vivo pharmacokinetic changes of several drugs. 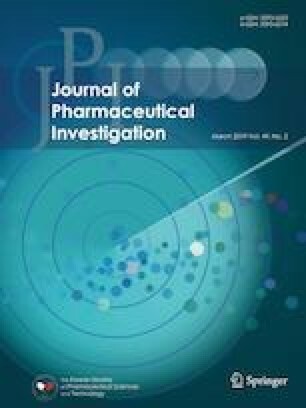 The clinical research is further required for the confirming the clinical relevance of pharmacokinetic drug interactions by VDR ligands. This work was supported by Basic Science Research Program through the National Research Foundation of Korea (NRF) funded by the Ministry of Science, ICT & Future Planning (NRF-2016R1D1A1B03931470).